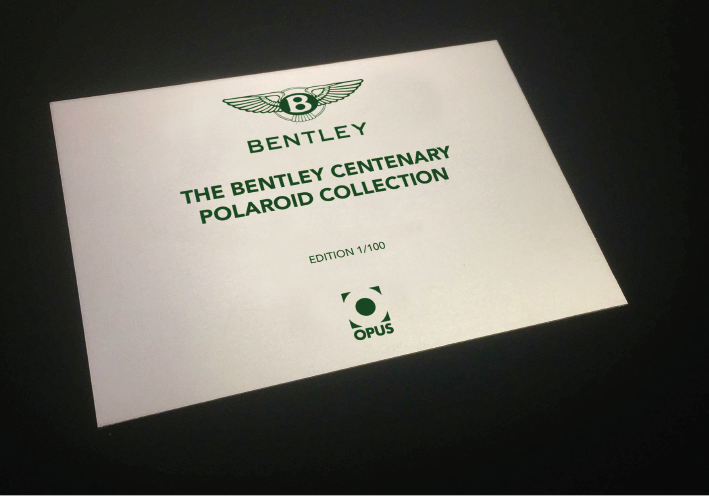 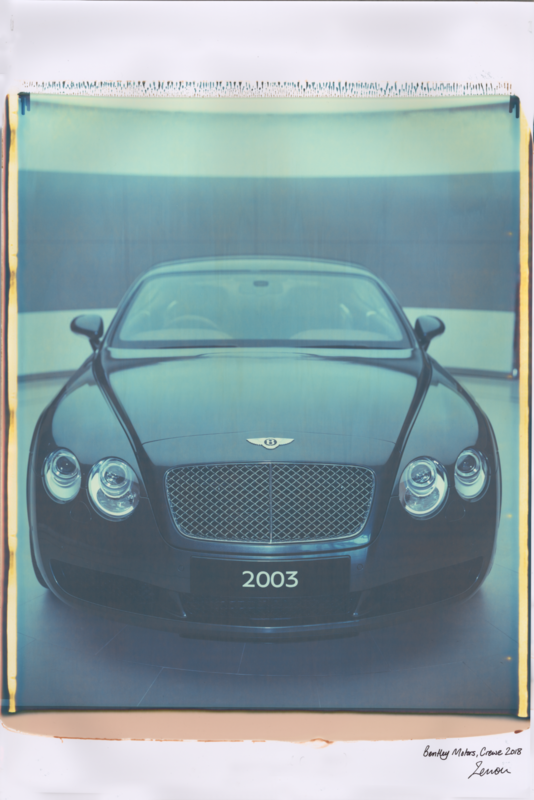 The Bentley Centenary Polaroid Collection is a strictly limited edition of 100 worldwide, that showcases ten landmark Bentley Motors like never seen before. 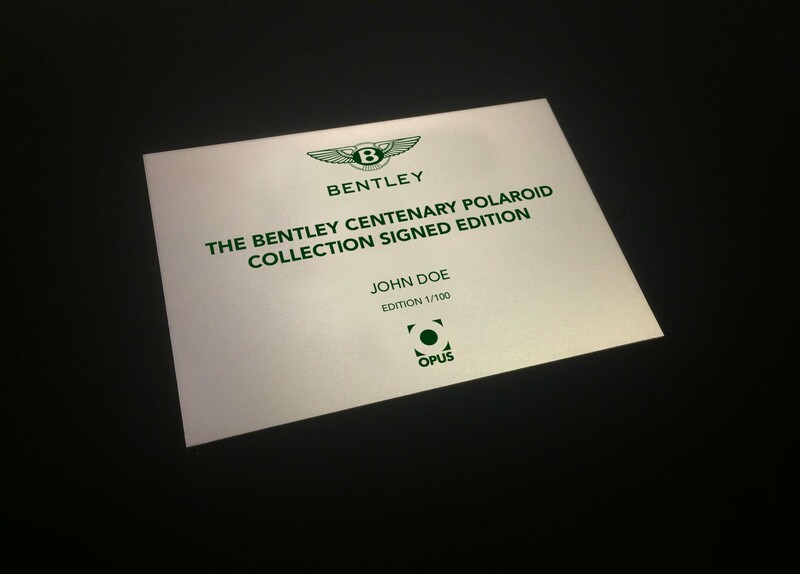 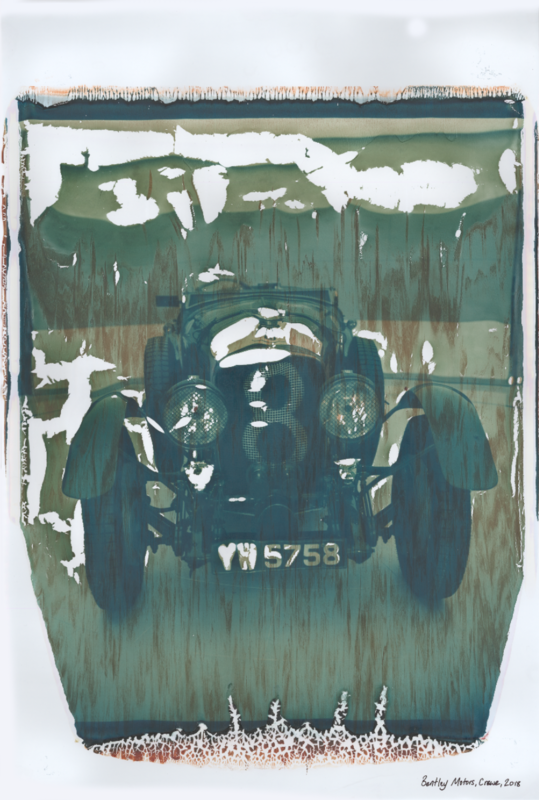 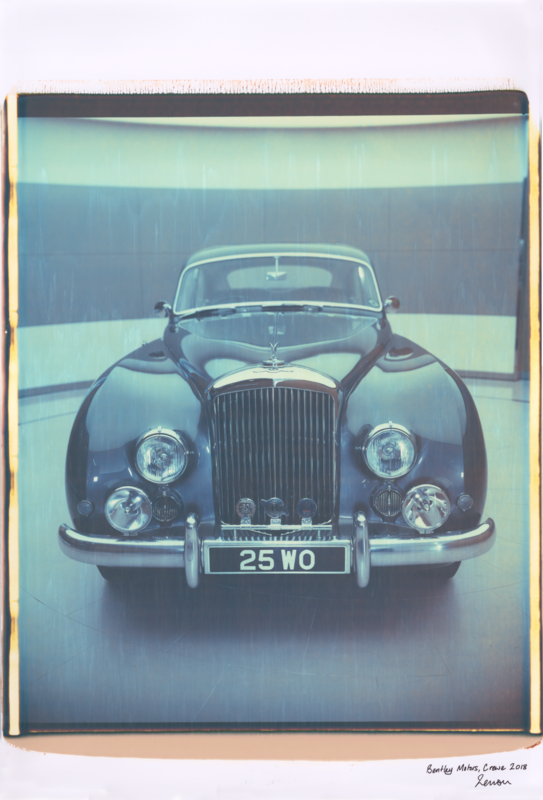 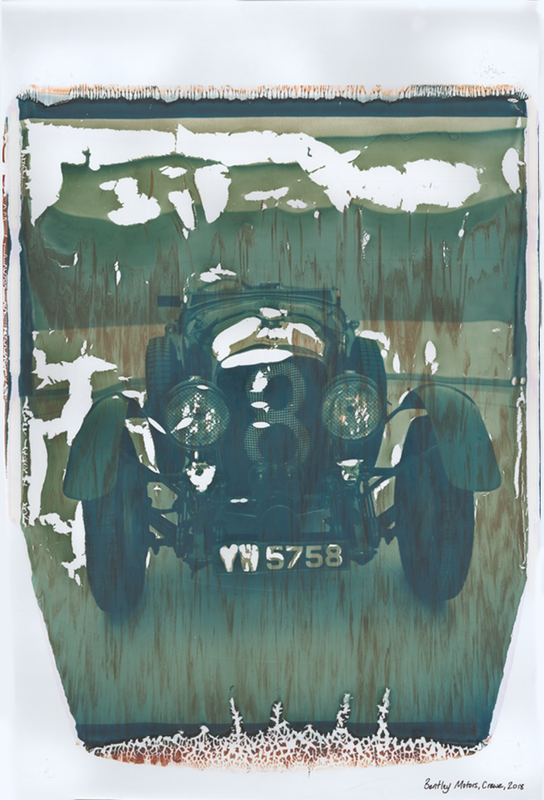 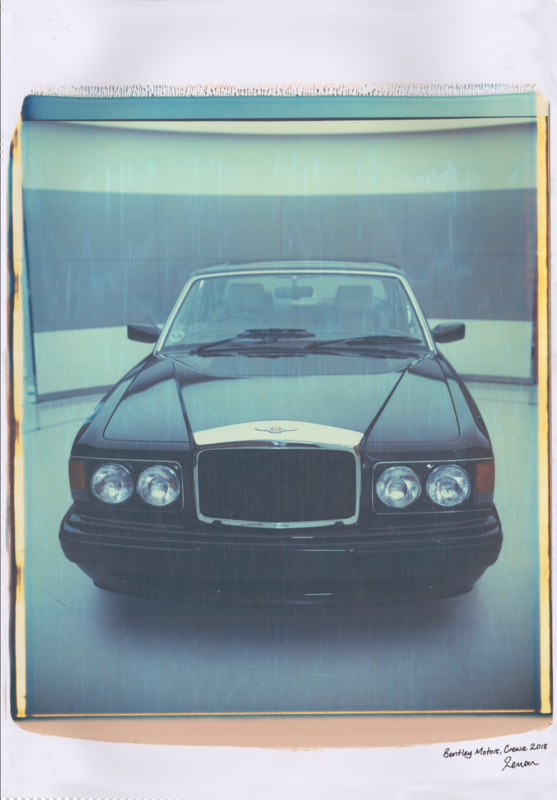 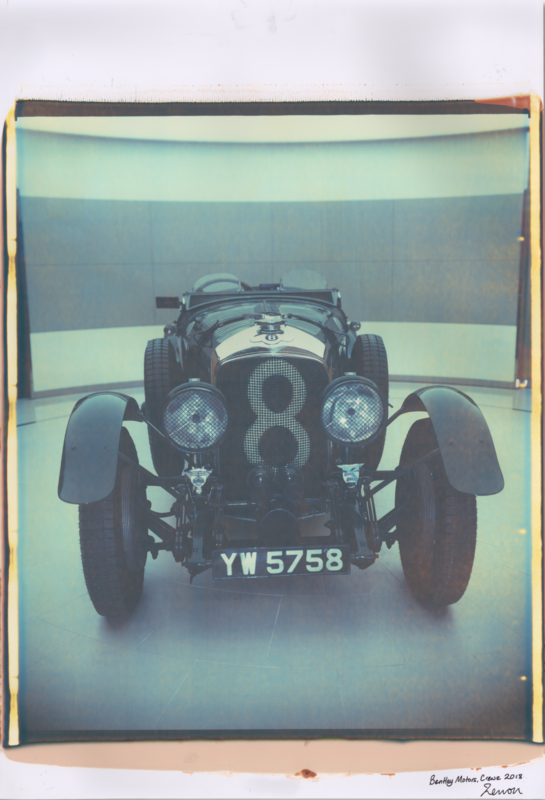 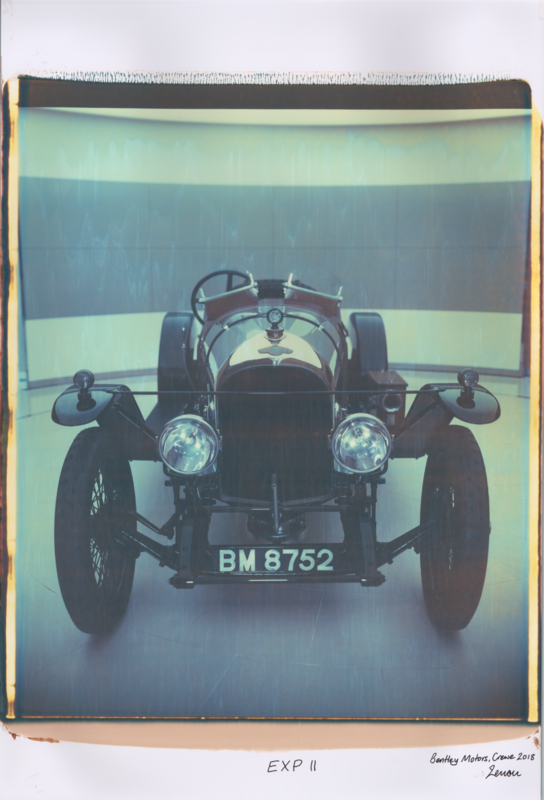 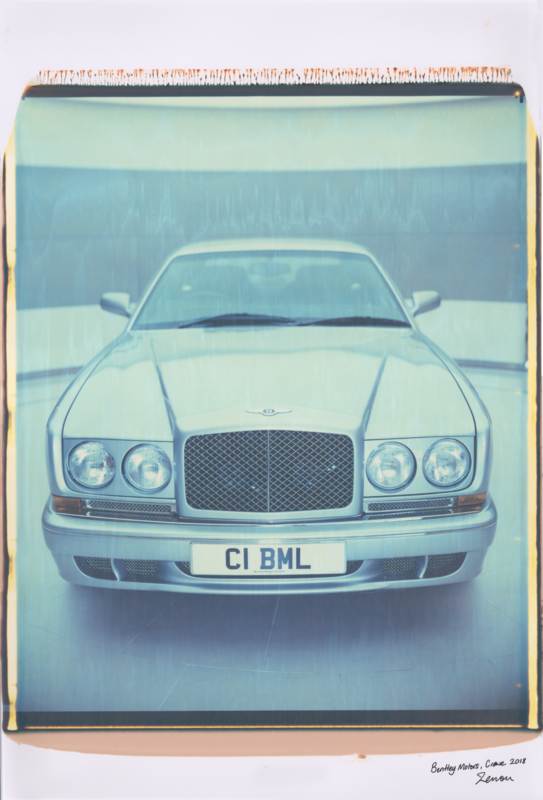 Capturing the ten iconic cars on the giant 20×24 Polaroid camera has created the most unique Bentley photographic collection ever. 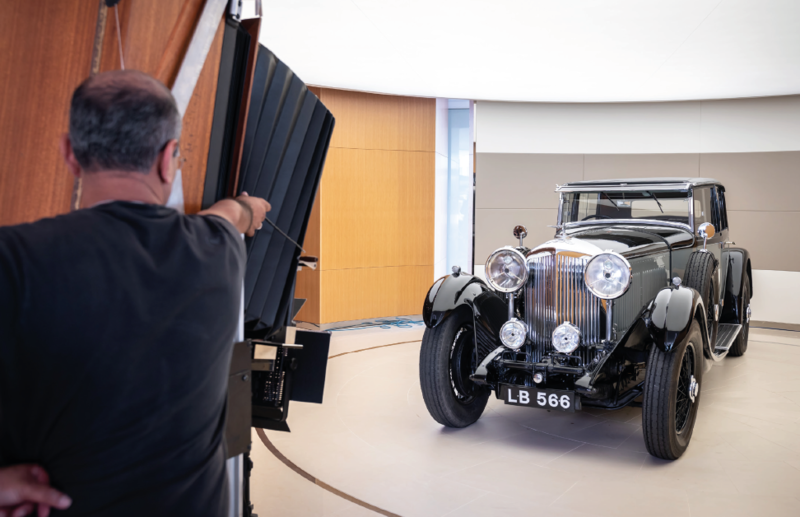 An ideal approach when shooting cars indoors is to down light them with a giant soft box to evenly defuse light down onto them. 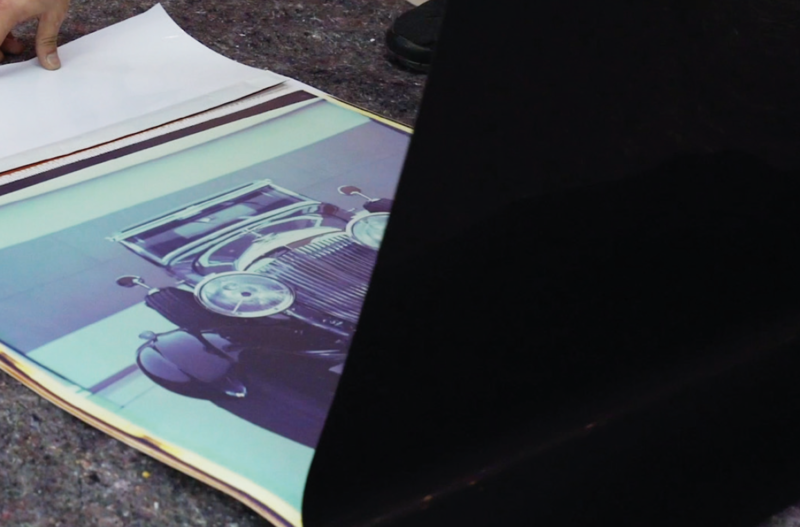 It allows the form of the cars to be highlighted and see the lines as the designer first imagined them. 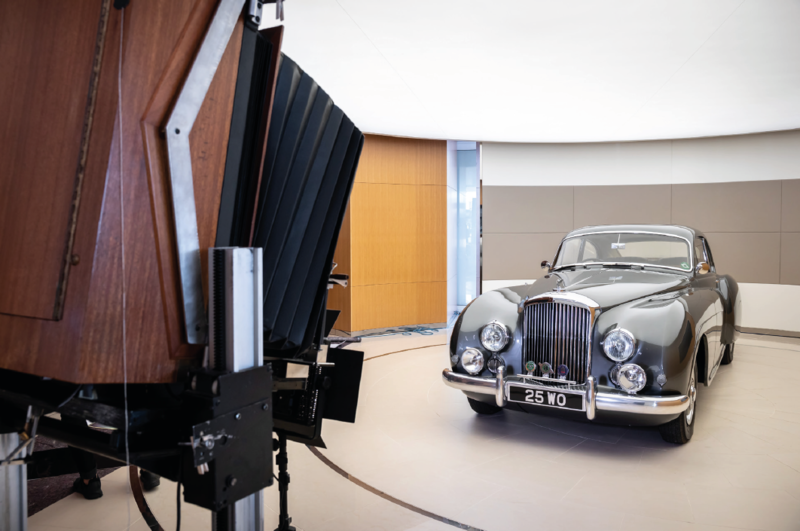 Limiting environmental noise in reflections would help us capture the face and personality of the cars, and luckily for us the Bentley showroom at CW1 House had a circular room at its rear that is used to showcase cars. 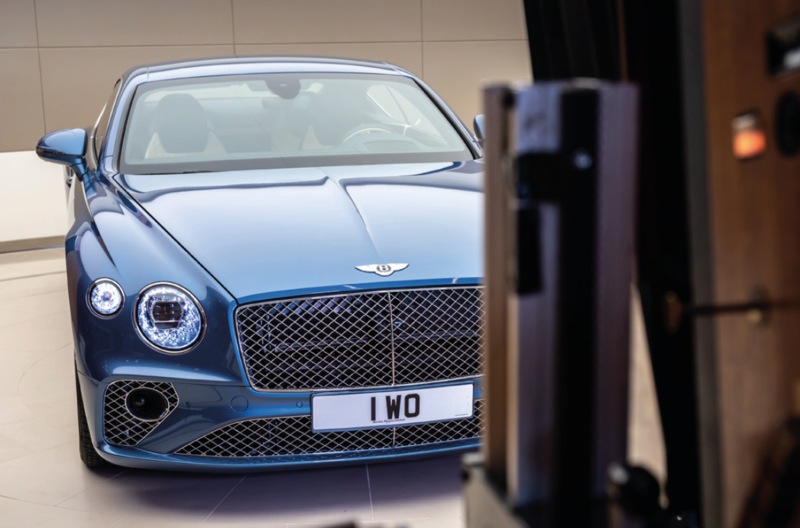 It was lit from above with a giant circular soft box of light… perfect for showing off the latest models from the factory a stone’s throw away, but also perfect for us for the company’s earliest creations. 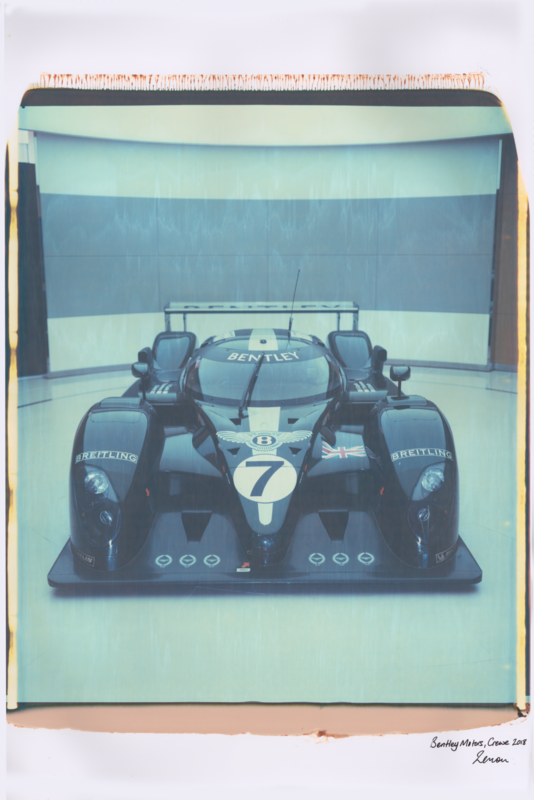 The analogue approach to the photo shoot was refreshing and unexpected. 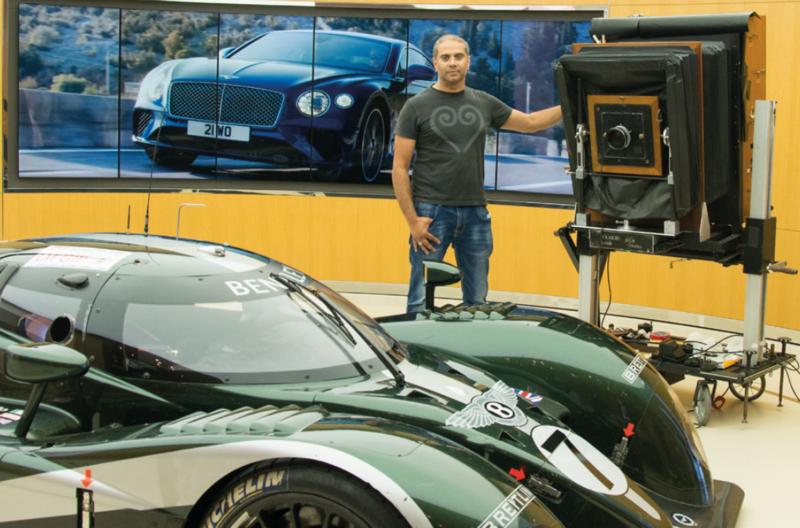 In modern times we are so used to taking digital photos on SLR cameras or phones. 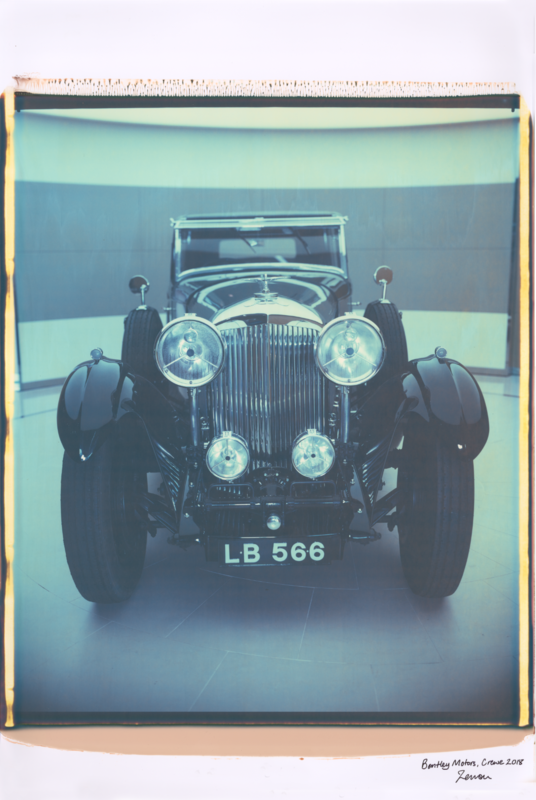 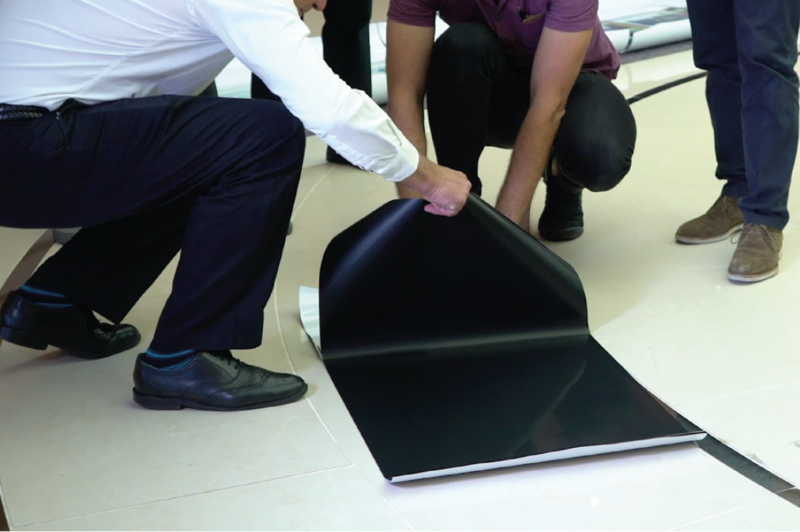 The unpredictability of film and chemical errors are lost on a pixel generation that are accustomed to pin sharp, white balanced photos as the norm. 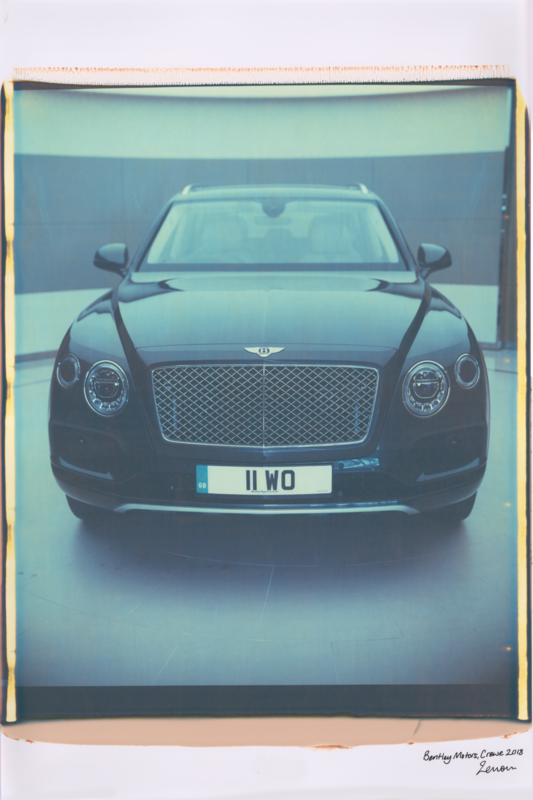 During the Bentley Centenary Polaroid Shoot there was a chemical mismatch that resulted in an unusual print that although did not meet our requirements, possessed a charm that reminded us that we were creating art, we hadn’t chosen the easy option and this resonated with everyone who was part of the shoot or visited on the day. 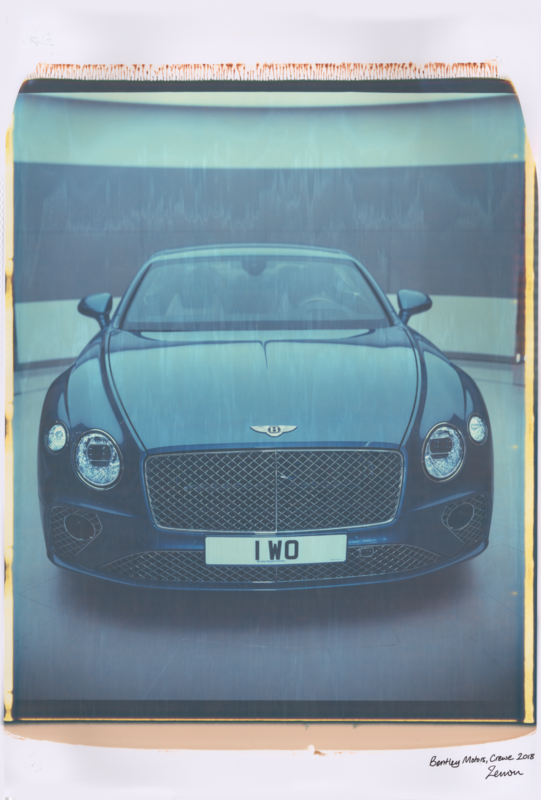 The luxury Polaroid photographic art prints measure approximately 20 x 28 inches and printed on a heavyweight 400gsm silk paper. 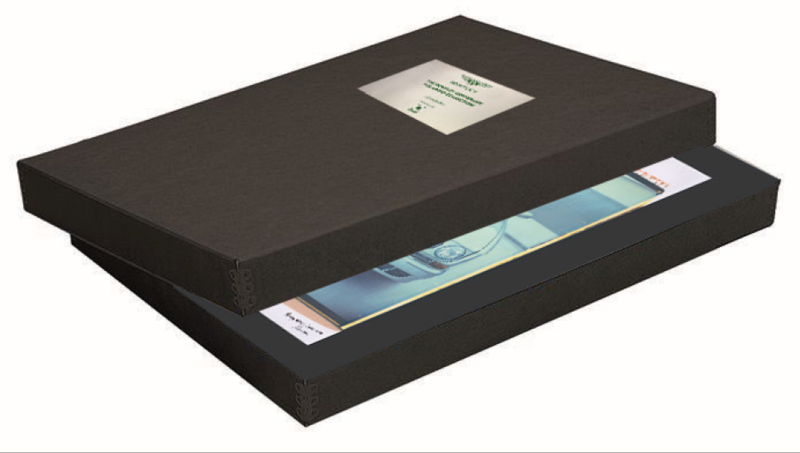 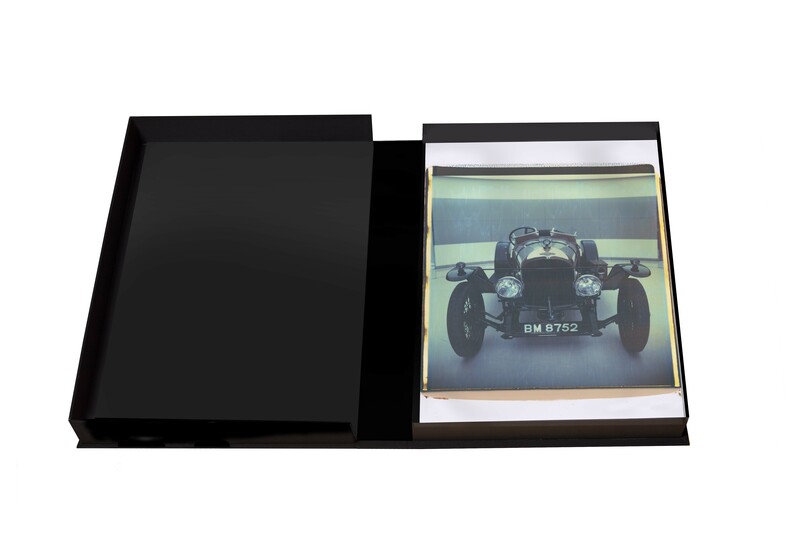 The prints are presented in a black acid free archival box which can be bespoke with the owner’s name engraved into the hand made metal plate adorning the cover.